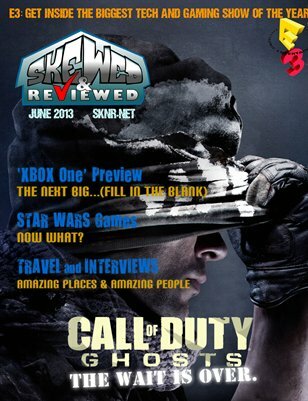 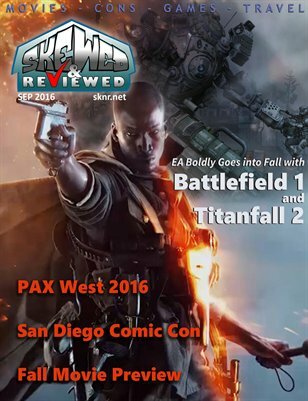 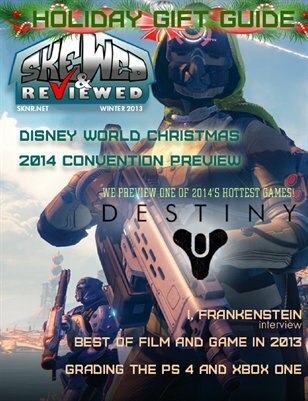 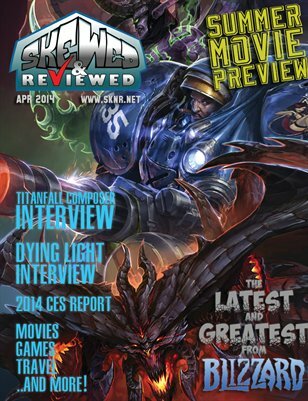 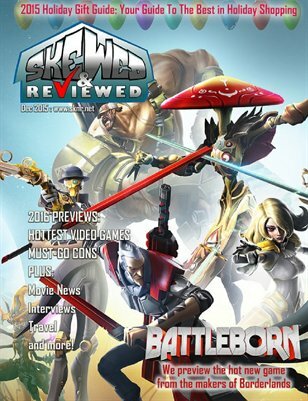 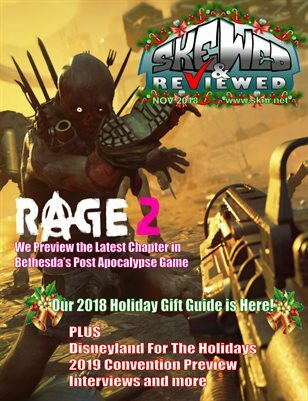 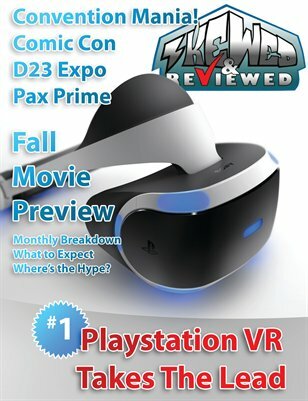 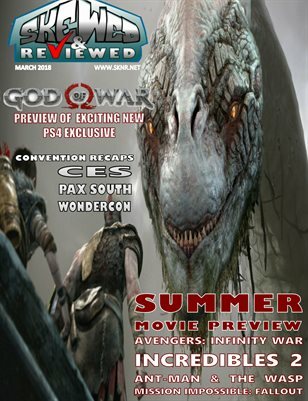 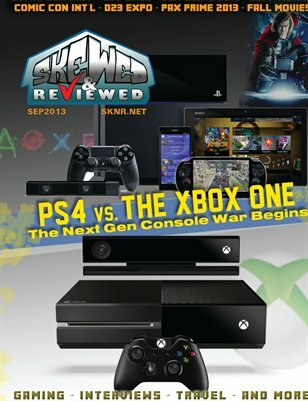 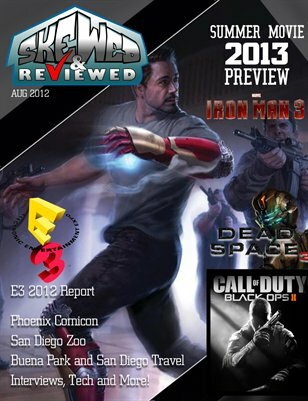 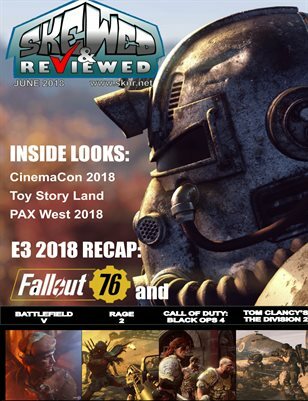 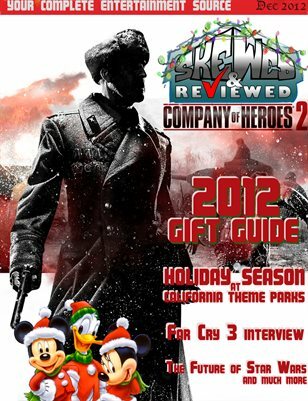 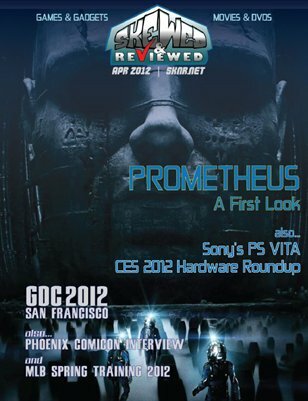 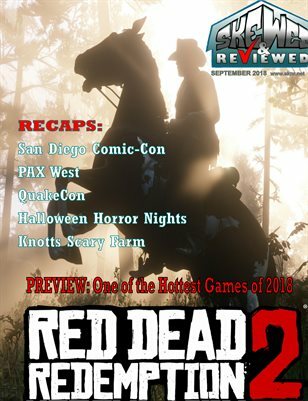 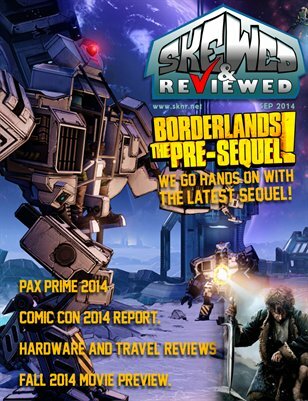 Film and game news, reviews, and interviews as well as travel articles. 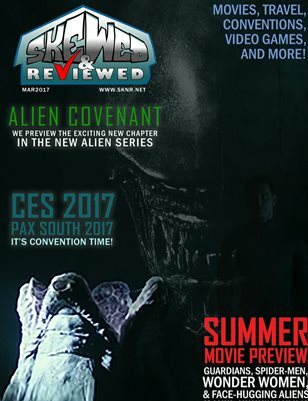 This is a quarterly publication from Skewed and Reviewed who have over 14 years experience in reporting the hottest in entertainment. 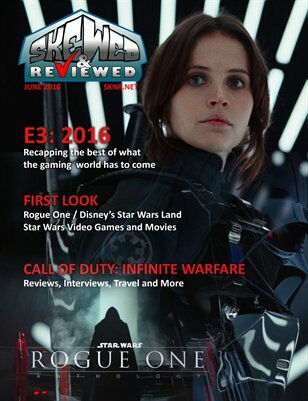 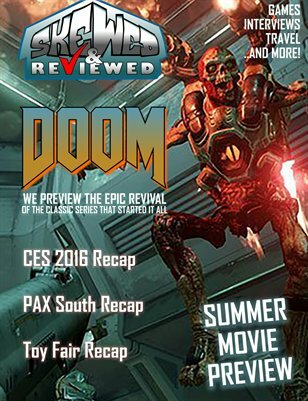 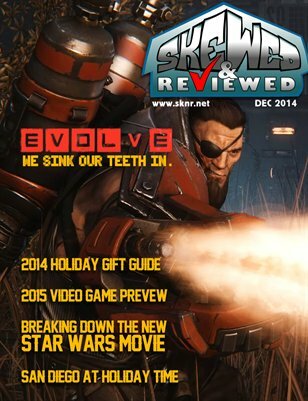 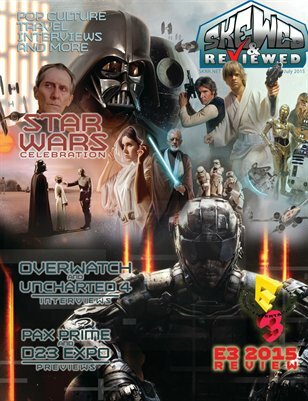 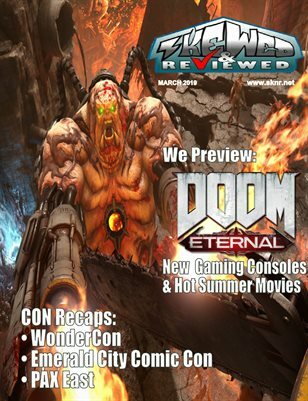 The March issue looks at DOOM, CES 2016, PAX South, and has the summer 2016 movie preview. 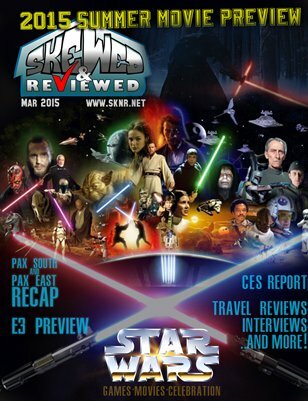 There are also interviews, travel reviews, and more. 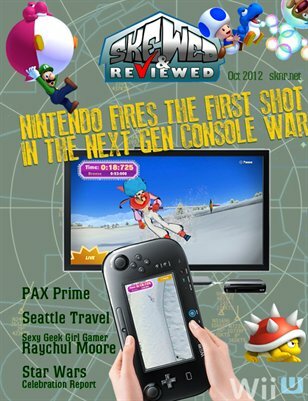 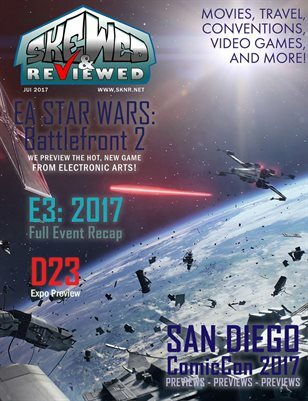 A look at the Wii U, PAX Prime, an interview with Geek Girl Rychul Moore, Star Wars Celebration VI, Travel, Interviews, and much more. 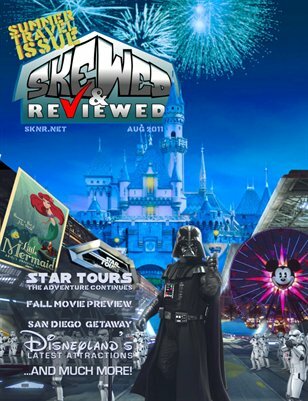 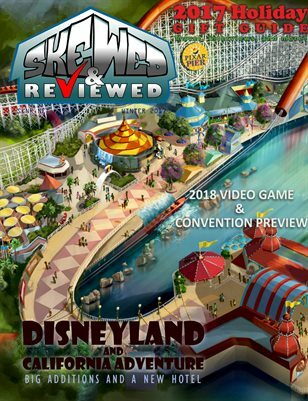 Fall game and movie preview, a look at what is new at Disneyland, San Diego, Las Vegas, and Hawaii travel, Anaheim, and BJ Shea's Geek Nation.